Over at the Sweet Stop blog was to use the sketch and for an added optional twist was to stamp your background paper. I love this new set from Stampin up 'french foliage' its makes lovely background paper. I then decided to keep the focal point quite small so as not to cover up the background. I cut out one of the leaves to make the accent circle. 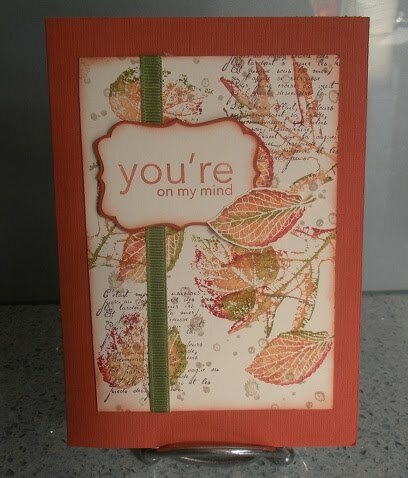 Its a very simple card but I really like the autumn colours (it is Autumn here after all).